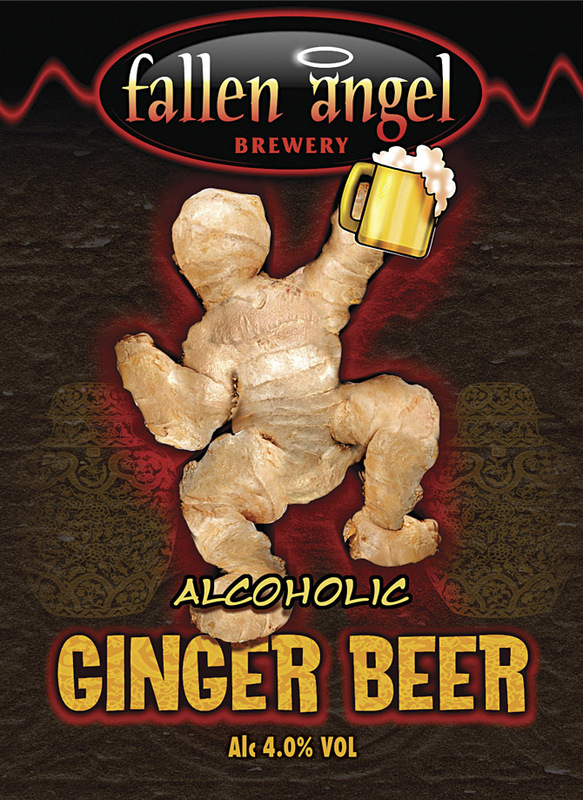 Another couple of micro breweries joined the Hot Frog brewing portfolio last month. 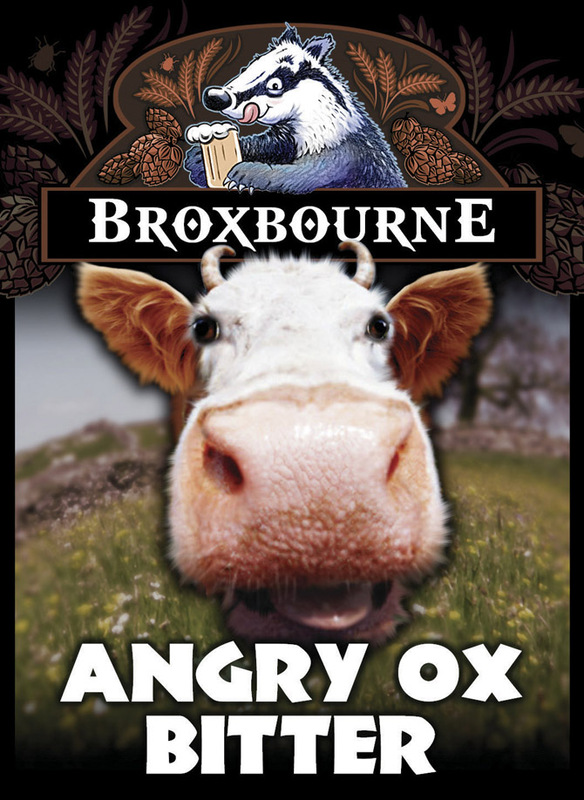 He’s the first of them, the exciting sounding Broxbourne Brewery – home of the crafty badger! I tried out several run of the mill – almost cliched, ideas to get the creative juices rolling. I wasn’t getting anywhere meaningful but it’s often useful to exorcise the banal from the equation in this way, before you can ‘see through’ to the more promising ideas. Then I had this vision of the the Moretti beer label with the old guy blowing the froth off his fresh glass of beer. I coupled this with a cheeky badger and sketched out the character and hey presto, Brox, the crafty badger was born. Broxbourne and their sister brewery have some very strong ales in their repertoire and here’s hoping we’ll have a long and fruitful future together. Cheers to that. 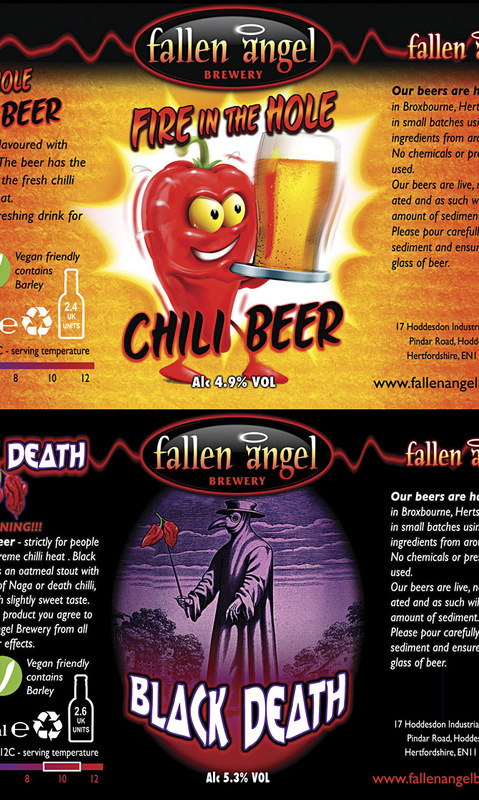 Also shown below Broxbourne is the Fallen Angel Brewery, and some new artwork for some of their existing fiery chilli brews. The Black Death Stout is the hottest beer in the world, hence the warning!